Here's what I finished up in November and December. Probably my 4th or 5th tube of this make up removing cleansing gel from Clarins. I massage this non sticky gel into the skin where it turns into an oil on contact. I then emulsify it with water and finally remove any excess with a wet flannel. It smells like peaches and does a great job at removing make up. Its a fail safe cleansing option for me. It also feels like a really luxurious treat at the end of the day and feels lighter on the skin than the cleansing balms I have been using over the past year. One of my favourite discoveries of 2016 and it's stockpiled in my spare bathroom. 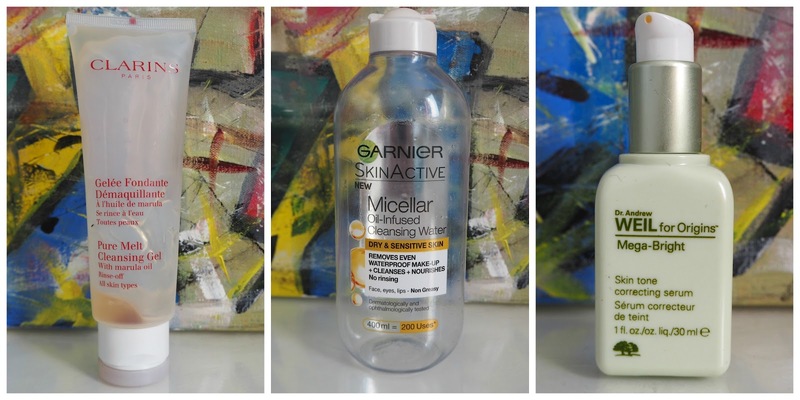 I find this cleansing water brilliant at removing eye make up-the oil infusion really helps to break down stubborn mascara and it doesn't irritate my eyes in any way. Compared to other bi-phase make up removers I have used, this one leaves the least amount of oily residue but I do remove my eye make up first and then properly cleanse so the residue isn't an issue. And the price point is phenomenal-I picked up 3 more of these big size bottles in the UK for around £3-4 each. I really enjoyed using this light milky serum sandwiched between my morning cleanse and my moisturiser. It's non sticky and absorbs instantly. It didn't break me out at all and was good for reducing inflammation and redness if I ever did get a pesky spot, ensuring it didn't scar. It contains brightening Rosa roxburghii, White Peony and Licorice. Before I start this mini review, it's important to know the price of these-which is horrifying. These were an (extremely generous) birthday gift from my best friend Danielle last year. They retail for £168 and you get 8 pairs. Ouch. But Dani and I share a love for eye and sheet masks so I was really excited to try this. These eye masks fit under the eyes perfectly and are made from gel-they're not fluid soaked fiber masks like the Sephora ones. The gel masks are infused with 24 Karat Gold Serum which claims to replump and moisturise to leave the under eye area smoothed, revitalized and more radiant. It also contains seaweed to firm and lift and an Anti Puffiness Complex to basically do what it says on the tin. There's definitely a visible effect when you use these mask and I loved using these-your skin looks lifted and tightened and smoothed. But they're too much of an expensive habit to keep up-especially when Chantecaille recommend using them 3-4 times a week! But I have to say, everything I have tried from Chantecailles skin care range has been phenomenal. A cult classic from Kiehls but with a cranberry twist. Basic but a good daily moisturiser for lips. It's quite a heavy texture for some serious hydration. My brilliant hairdresser recommended this product after I was moaning how knotty and tangled my hair gets. I would never have thought of putting a cream on my hair because I would think it would be too heavy for my fine locks but this styling cream makes such a difference to my hair. I use a small amount-not much bigger than the size of a 20p piece and rake it through wet hair and then blow dry as usual. My hair feels smoother, gets less tangled and feels stronger. 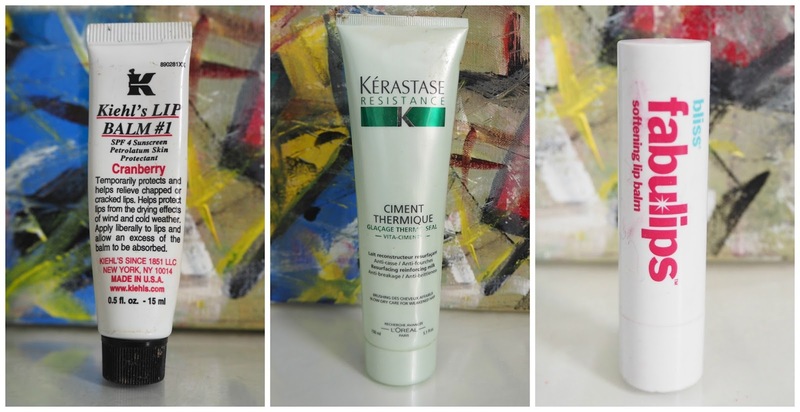 Marketed as a 'blowdry primer' it also protects from heat damage. It's expensive but I need so little that the tube lasts me around 6 months-this is my third. I prefer this lipbalm over the Kiehls because a) its in a stick rather than a tube and therefore less messy and b) it feels more moisturising than the Kiehls-this contains shea butter rather than Lanolin which I find works better for me. 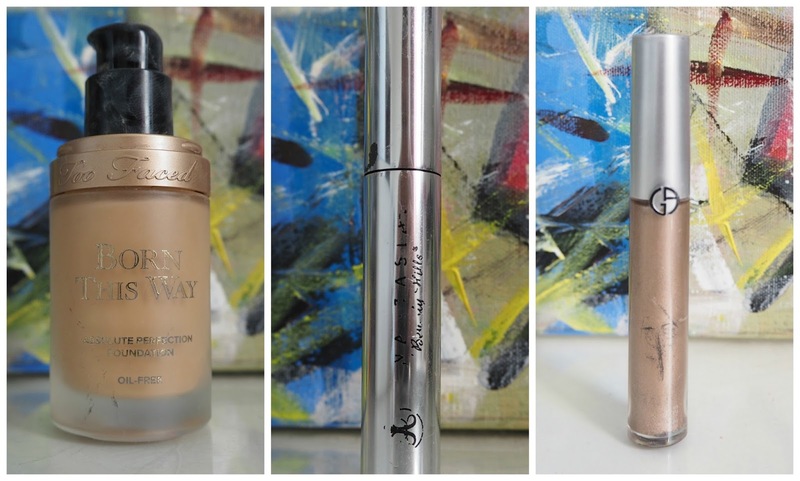 Featured in my Top 16 Beauty Discoveries post, I really loved this. Very simply it smoothes and evens out your skin tone as well as setting your face and is one of the best loose powders I have ever tried. Another favourite product from Origins and this is probably my third tub of this light gel moisturiser. Described by Origins as an energy drink for the skin, it is packed with Ginzing and Caffeine. A great all rounder and great for all ages! The only downside-it's in a germ attracting tub so personally after 6 months, if I still had any left I would bin it. Am not a fan of dipping my fingers into anything. Also featured in my Top 16 Beauty Discoveries I really liked this slightly heavier textured, medium to full coverage foundation. I felt it lasted really well on my skin and it was the foundation I reached for if I wanted the most flawless finish on my skin. I realised in 2016 that my skin loves a good, liquid foundation with a decent density-these new pigmented but watery formula foundations do nothing for me. The shade range was a little off for me so definitely try and get colour matched, a lot of the shades run yellow toned but I could make it work by adding a drop of a more pink toned foundation. The best brow gel. Period. Repurchased at the weekend-you might have seen my Sephora haul on instastories featuring this. Something else I repurchased from Sephora at the weekend-Cold copper is the kind of colour I live for!! Strange name for the shade as it's not dark or orange enough to be a true copper and is more of a cool biege-y colour reminiscent of Stila 'Kitten'. I love these-the formula seems so consistent across the range-they are wetter than a cream but they're denser than a liquid. I find the best way to apply is to literally swipe directly on and blend with a finger or fluffy brush. They set after about a minute to an immovable powder and they last all day! They have enough pigment to stand up just fine on their own but they are also great for using as a base shadow and applying more shadow on top. However because they dry quite quickly, you need to work fast if you want to add a pigment on top of them to ensure it 'sticks'. They can be easily built up and not one of them has cracked, creased, faded or smudged on my eyelid. I love an eyeshadow crayon but I am super picky. 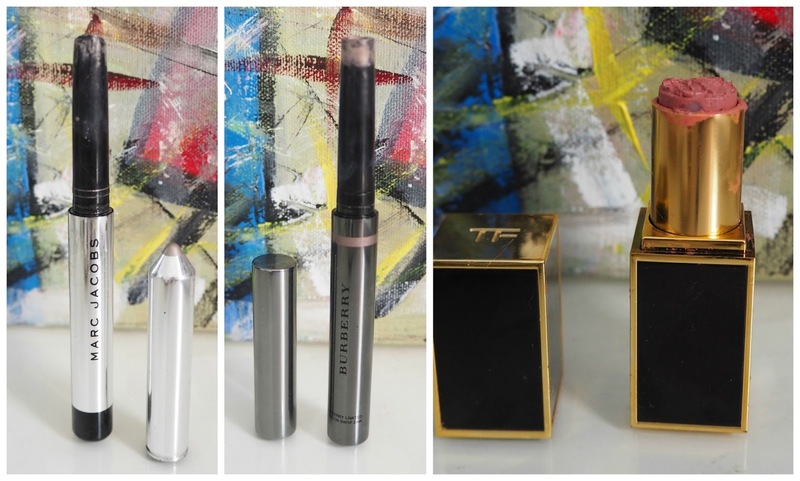 Trish McEvoy are the best, Charlotte Tilbury are the worst. These are good-I wrote a full review here. I probably won't repurchase because I am so loyal to the Trish McEvoy ones. But they're a good option and it's a pretty colour. I didn't love this as much as I had hoped, I found it quite 'dragging' over the eyes and I found the shade a bit wishy washy. I ended up just using this as an eyeshadow base which it does a great job at but I wouldn't repurchase. It's swatched here.